In Leadership Jazz Max DePree focuses on the integration of voice and touch. 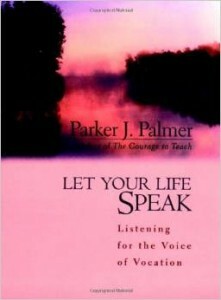 “[A] leader’s voice is the expression of one’s beliefs….A leader’s touch demonstrates competence and resolve…” (p. 5). “Leadership can never stop at words. Leaders must act, and they do so only in the context of their beliefs. 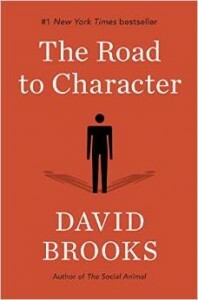 Without action or principles, no on can become a leader” (p. 6). “Leadership is…not a position but a job. It’s also a serious meddling in other people’s lives. One examines leadership beginning not with techniques but rather with premises, not with tools but with beliefs, and not with systems but with understandings” (p. 7). “A jazz band is an expression of servant leadership. The leader of the band has the beautiful opportunity to draw the best out of other musicians. We have much to learn from jazz-band leaders, for jazz, like leadership, combines the unpredictability of the future with the gifts of individuals” (p. 9). “Integrity in all things” (p. 10). “The servanthood of leadership” (p. 10). “Accountability for others” (p. 11). The “practice of equity” (p. 11). “[The] goals of the organization are best met when the goals of people in the organization are met at the same time” (p. 23). “Any follower has the right to ask many things of her leader…. “What may I expect of you? What do you believe?” (p. 24). 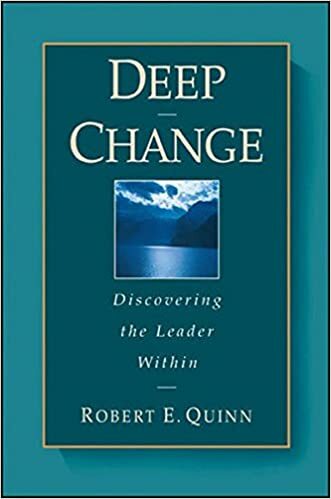 “From a leader’s perspective, the most serious betrayal has to do with thwarting human potential, with the quenching of the spirit, with failing to deal equitably with each other as human beings” (p. 34). “Leaders must speak to followers; we must let them know where and how we stand on important issues. We constantly make decisions and evaluate results in light of what we believe” (p. 36). “Vulnerability in a leader enables others to do their best and to be fully accountable. And, of course, being vulnerable to the strengths of other people also makes the leader vulnerable to their weaknesses” (p. 41). “Preparation for leadership does not come from books. Books sometimes give you an insight or an outline, but real preparation consists of hard work and wandering in the desert, much feedback, much forgiveness, and the yeast of failure” (pp. 42, 43). “Everybody battles for success; too few people are aware of its profound impact. Success tends to breed arrogance, complacency, and isolation. Success can close the mind faster than prejudice. Success if fragile, like a butterfly. We usually crush the life out of it in our efforts to possess it” (p. 47). “[The] mystery around potential is so great that even the most perceptive of us cannot look at a person and decide for certain whether or not she’ll be good at this or that, whether or not she’ll become a sales manager or vice president — or even the best shortstop you ever saw. We really should be in awe of human potential” (p. 53). “We are dealing with God’s mix, people made in God’s image, a compelling mystery” (p. 57). “I like to think of management in two broad categories, scientific and tribal. The tribal is certainly the most important and, while palpable is quite difficult to grasp and nurture….Tribal means shared goals but different and separate responsibilities….You can’t be hired into a tribe. Joining a tribe results in a certain intimacy. This intimacy links the talents and skills that each of us brings to the job and the corporation on behalf of our customers–with marvelously delightful and worthwhile results” (pp. 70, 71). 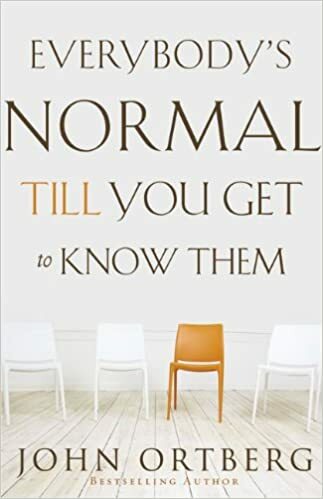 “I happen to believe that a large part of the secret [to renewal and innovation and vitality] lies in how individual leaders in a great variety of settings make room for people with creative gifts and temporarily become followers themselves” (p. 94). “How does a leader approach the process of creative work? A leader protects unusual persons from the bureaucracy and legalism so ensconced in our organizations. A leader remains vulnerable to real surprise and to true quality…. A leader works with creative people without fear…” (pp. 96, 97). “A writer, when asked why he wrote, replied, ‘Because I have to, not because I want to'” (p. 102). “The lore of life, the way to one’s voice, comes more from mistakes than achievements, more from listening than talking, more from these teachers and enablers than from one’s own understanding” (pp. 111, 112). “Have you taken five to ponder the nature of the contribution that other people make to your leadership? I highly recommend it” (p. 114). Space–to be the kind of person I can be. Clarity–in objectives, in evaluation, and in feedback. Authenticity–that gives hierarchy its true value, that gives me the right to offer my gifts, that neither overlooks nor oppresses. Meaning–a lasting foundation of hope. 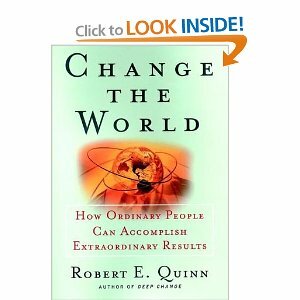 and “an ethos for change” (p. 141). “A good leader says, “I love you enough to make you accountable. You have the right to be part of this task” (p. 155). “As I see it, delegation requires a form of dying, a separation of issue from self. We must surrender or abandon ourselves to the gifts that other people bring to the game. We must become vulnerable to every person’s need to do her best….This means to me that we must go beyond learning a single skill or specific knowledge to acquiring the art and grace of a job” (pp. 157, 158). 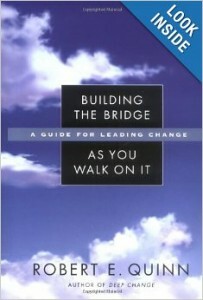 “As someone once said, in delegating, leaders give roots and they give wings” (p. 160). 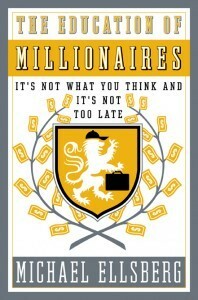 “Polishing gifts is different than career development” (p. 169). “To be an amateur means literally that you do something for the love of it” (p. 188)”. “Amateurs simply don’t know what they can’t do” (p. 193). “I’ve often asked myself, ‘Are the poorest sandlot baseball players chosen last because they commit so many errors? Or do they commit errors because they’re chosen last?” (p. 198). “Vocation does not come from willfulness. It comes from listening….Vocation does not mean a goal that I pursue. It means a calling that I hear” (p. 4). “[There] is a great gulf between the way my ego wants to identify me, with its protective masks and self-serving fictions, and my true self….The difficulty [of sensing the difference between the two” is compounded by the fact that from our first days of school, we are taught to listen to everything and everyone but ourselves, to take all our about living from the people and powers around us” (p. 5). “Today I understand vocation quite differently — not as a goal to be achieved but as a gift to be received. Discovering vocation does not mean scrambling toward some prize just beyond my reach but accepting the treasure of true self I already possess. Vocation does not come from a voice ‘out there’ calling me to become something I am not. It comes from a voice ‘in here’ calling me to be the person I was born to be, to fulfill the original selfhood given me at birth by God” (p. 10). “Biblical faith calls it the image of God in which we are all created. Thomas Merton calls it true self. Quakers call it the inner light, or ‘that of God’ in every person. The humanist tradition calls it identity and integrity. No matter what you call it, it is a pearl of great price” (p. 11). 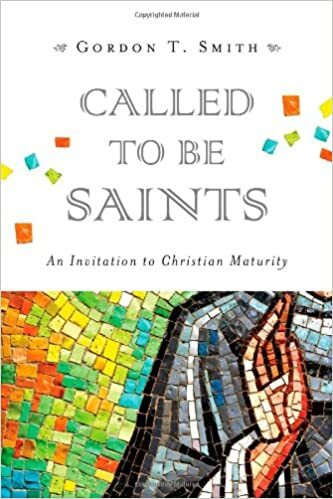 “True vocation joins self and service, as Frederick Buechner asserts when he defines vocation as ‘the place where your deep gladness meets the world’s deep need’” (p. 16). “The Quaker teacher Douglas Steere was fond of saying that the ancient human question ‘Who am I?’ leads inevitably to the equally important question ‘Whose am I?’ — for there is no selfhood outside of relationship” (p. 17). “Most of us arrive at a sense of self and vocation only after a long journey through alien lands….It is more akin to the ancient tradition of pilgrimage — ‘a transformative journey to a sacred center’ full of hardships, darkness, and peril. In the tradition of pilgrimage, those hardships are seen not as accidental but as integral to the journey itself. Treacherous terrain, bad weather, taking a fall, getting lost — challenges of that sort, largely beyond our control, can strip the ego of the illusion that it is in charge and make space for the true self to emerge” (pp. 17, 18). “Vocation at its deepest level is not, ‘Oh, boy, do I want to go to this strange place where I have to learn a new way to live and where no one, including me, understands what I’m doing.’ Vocation at its deepest level is, ‘This is something I can’t not do, for reasons I’m unable to explain to anyone else and don’t fully understand myself but that are nonetheless compelling” (p. 25). “Here, I think, is another clue to finding true self and vocation: we must withdraw the negative projections we make on people and situations — projections that serve mainly to mask our fears about ourselves — and acknowledge and embrace our own liabilities and limits” (p. 29). “[Self-care] is never a selfish act — it is simply good stewardship of the only gift I have, the gift I was put on earth to offer to others. Anytime we can listen to true self and give it the care if requires, we do so not only for ourselves but for the many others whose lives we touch” (pp. 30, 31). “Where do people find the courage to live divided no more when they know they will be punished for it? The answer I have seen in the lives of people like Rosa Parks is simple: these people have transformed the notion of punishment itself. They have come to understand that no punishment anyone might inflict on them could possibly be worse than the punishment the inflict on themselves by conspiring in their own diminishment” (p. 34). “Each of us arrives here with a nature, which means both limits and potentials. We can learn as much about our nature by running into our limits as by experiencing our potentials” (pp. 41, 42). “When the gift I give to the other is integral to my own nature, when it comes from a place of organic reality within me, it will renew itself — and me — even as I give it away” (p. 49). “[If] it is true that we are made for community, then leadership is everyone’s vocation, and it can be an evasion to insist that it is not. When we live in the close-knit ecosystem called community, everyone follows and everyone leads” (p. 74). “The power for authentic leadership…is found not in external arrangements but in the human heart. Authentic leaders in every setting — from families to nation-states — aim at liberating the heart, their own and others’, so that its powers can liberate the world” (p. 76). “Good leadership comes from people who have penetrated their own inner darkness and arrived at the place where we are at one with one another, people who can lead the rest of us to a place of ‘hidden wholeness’ because they have been there and know the way” (pp. 80, 81). “It is so much easier to deal with the external world, to spend our lives manipulating material and institutions and other people instead of dealing with our own souls” (p. 82). “The first shadow-casting monster is insecurity about identity and worth….The second shadow inside many of us is the belief that the universe is a battleground, hostile to human interests….A third shadow common among leaders is ‘functional atheism,’ the belief that ultimate responsibility for everything rests with us….A fourth shadow within and among us is fear, especially our fear of the natural chaos of life” (pp. 86-89).